Looking for a central city location to hold your next business event or party? you can't get much more central than that! Studio 38 is the perfect environment for a presentation, workshop, team meeting or networking event. ​The multi-use space can be tailored whether you have just a handful of people or a crowd. We can seat 40 people theatre-style, and accommodate other room layouts that may suit your event. For a live music event, we have exceptional acoustics and audio capability so your band has never sounded better. 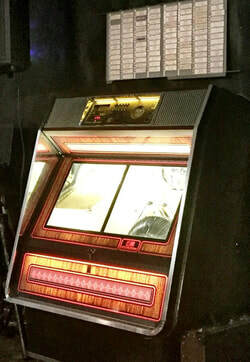 We can also create the perfect party atmosphere, including a vinyl jukebox!